It is now common knowledge that Spotify launched its service more than a decade ago with the aim of attracting pirates. With the disruption of The Pirate Bay ringing in the music industry’s ears, Spotify set out to capture the hearts and minds of music fans, particularly those with an aversion to paying. Although it is yet to turn a profit, there can be little doubt that Spotify is a rampant success, at least as far as user numbers go. 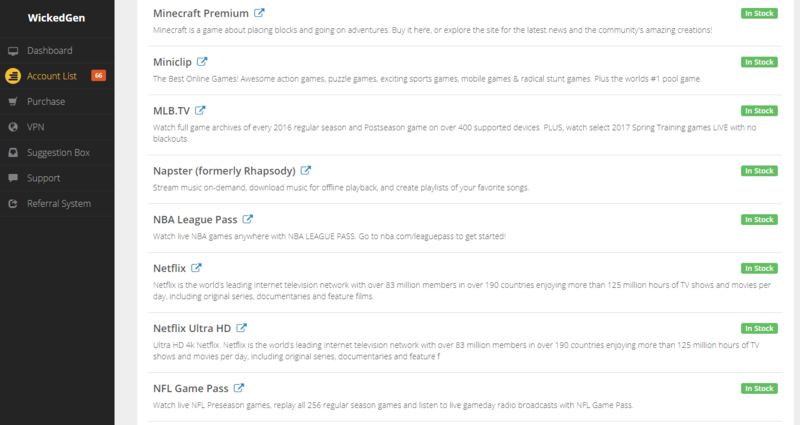 With premium and ad-supported free tiers available, the service is superbly accessible, no matter the depth of one’s pockets. Naturally, those who pay get a better and smoother service so it’s no surprise that many free tier users aspire to that level of access. But while some pay the extra, others prefer to hack their way to music utopia. How many people were accessing Spotify’s service using mainly hacked Android APK files has remained a mystery, but late last week, as part of the company’s IPO, Spotify dropped the bombshell. “On March 21, 2018, we detected instances of approximately two million users as of December 31, 2017, who have been suppressing advertisements without payment,” Spotify wrote. Two million users is hardly an insignificant number and it appears Spotify felt the need to disclose them since up to January 1, 2017, the company had been including these users in its accounting. A couple of million users on the free tier is great, but not if they’re riding ad-free and therefore less likely to upgrade to premium, the suggestion goes. Earlier this month, with its IPO process underway, Spotify clearly had these freeloading users on its mind. As previously reported, the company started to send out emails to people using hacked installation files, largely on Android, putting them on notice that their activities were not going unnoticed. “We detected abnormal activity on the app you are using so we have disabled it. 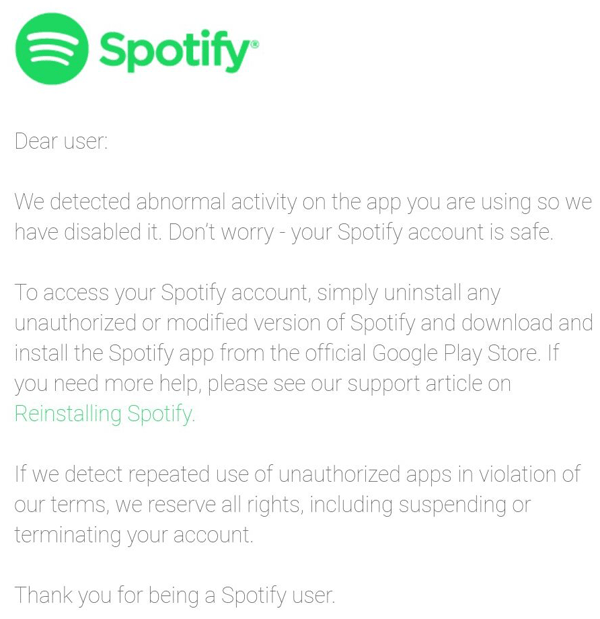 Don’t worry – your Spotify account is safe,” the email from Spotify said. 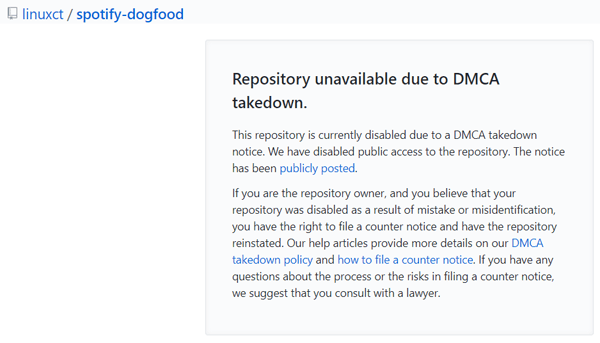 At the time it became apparent that this email had gone out to a large number of people, with significant volumes of users reporting problems with their accounts. It also seemed to target users fairly methodically, in that some countries’ users retained access while others suffered, only to be hit later on as more and more waves were sent out. As the chart below from Google Trends shows, it appears that Spotify began taking action on March 1, which drove people to start searching for Spotify APK files that were still working. 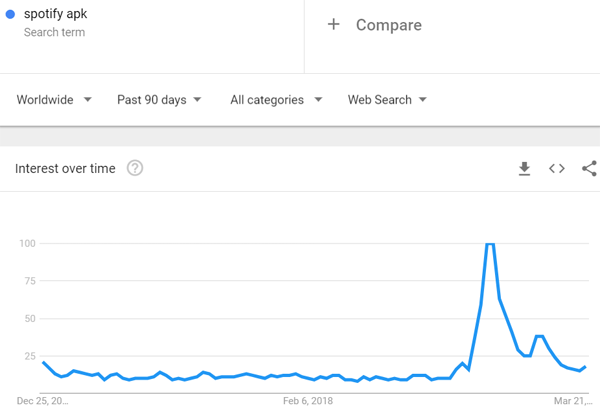 By March 3, search volumes had doubled on the index and on March 7, Google searches for ‘Spotify APK’ reached a dramatic peak never before witnessed in the history of the search term. That’s quite an achievement given how many people use these pieces of software. No prizes for guessing when Spotify got tough…. But after a flurry of activity, on March 22 search volumes were back down to March 3 levels, which is quite interesting in itself. Although various modified APKs are still managing to evade Spotify’s ban, there doesn’t seem to be a dominant modified client proving popular enough to stop hundreds of thousands of people from continuing to search for an APK solution. So, presuming these ‘banned’ people still want the music offered by Spotify, where have they gone? Aside from those using the APKs that have slipped through the net, reports suggest others have migrated to Deezer downloading solutions, which are also being targeted by Deezer. Others are using tools to convert their Spotify playlists to use with other pirate services or even YouTube. The big question then is whether hitting the ban button to potentially eject up to two million users has resulted in a net positive for Spotify? There’s no doubt it lowered the bandwidth bill for the growing company but how many former freeloaders traded the pirate high seas for an ad-supported account or even the premium service? Only Spotify has the numbers, and it won’t be sharing those yet – if ever. Chris Campbell’s qrocodile uses a Raspberry Pi, a camera, and QR codes to allow Chris’s children to take full control of the Sonos home sound system. And we love it! SONOS is SONOS backwards. It’s also SONOS upside down, and SONOS upside down and backwards. I just learnt that this means SONOS is an ambigram. Hurray for learning! 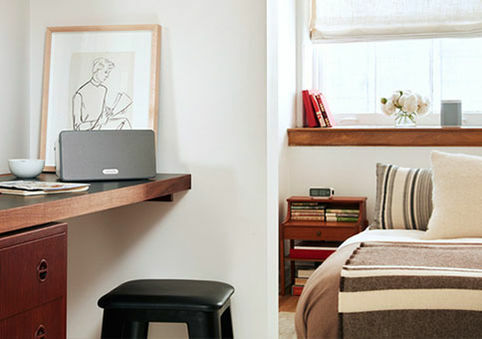 Sonos (the product, not the ambigram) is a multi-room speaker system controlled by an app. Speakers in different rooms can play different tracks or join forces to play one track for a smooth musical atmosphere throughout your home. If you have a Sonos system in your home, I would highly recommend accessing to it from outside your home and set it to play the Imperial March as you walk through the front door. Why wouldn’t you? One day, Chris’s young children wanted to play an album while eating dinner. By this one request, he was inspired to create qrocodile, a musical jukebox enabling his children to control the songs Sonos plays, and where it plays them, via QR codes. The QR codes represent commands (such as Play in the living room, Use the turntable, or Build a song list) and artists (such as my current musical crush Courtney Barnett or the Ramones). 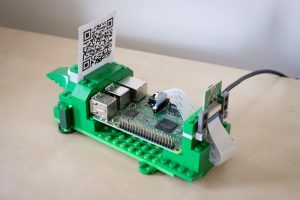 A camera attached to a Raspberry Pi 3 feeds the Pi the QR code that’s presented, and the Pi runs a script that recognises the code and sends instructions to Sonos accordingly. Chris used a costum version of the Sonos HTTP API created by Jimmy Shimizu to gain access to Sonos from his Raspberry Pi. 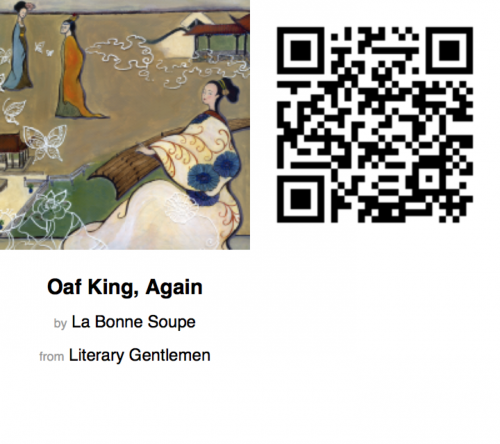 To build the QR codes, he wrote a script that utilises the Spotify API via the Spotipy library. His children are now able to present recognisable album art to the camera in order to play their desired track. It’s been interesting seeing the kids putting the thing through its paces during their frequent “dance parties”, queuing up their favorite songs and uncovering new ones. I really like that they can use tangible objects to discover music in much the same way I did when I was their age, looking through my parents records, seeing which ones had interesting artwork or reading the song titles on the back, listening and exploring. Chris has provided all the scripts for the project, along with a tutorial of how to set it up, on his GitHub — have a look if you want to recreate it or learn more about his code. Also check out Chris’ website for more on qrocodile and to see some of his other creations. The post qrocodile: the kid-friendly Sonos system appeared first on Raspberry Pi. Hey folks, Rob from The MagPi here! 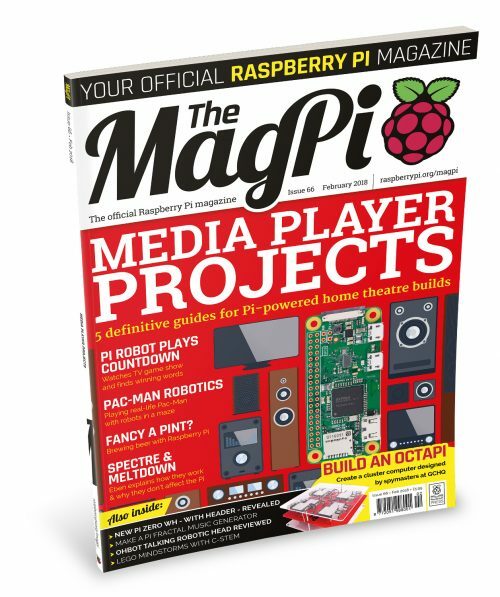 Issue 66 of The MagPi is out right now, with the ultimate guide to powering your home media with Raspberry Pi. 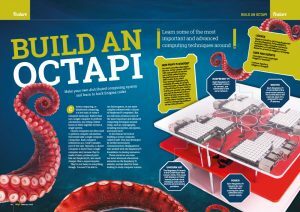 We think the Pi is the perfect replacement or upgrade for many media devices, so in this issue we show you how to build a range of Raspberry Pi media projects. Yes, it does say Pac-Man robotics on the cover. They’re very cool. The article covers file servers for sharing media across your network, music streaming boxes that connect to Spotify, a home theatre PC to make your TV-watching more relaxing, a futuristic Pi-powered moving photoframe, and even an Alexa voice assistant to control all these devices! 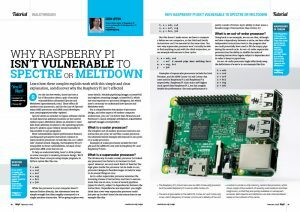 That’s not all though — The MagPi 66 also shows you how to build a Raspberry Pi cluster computer, how to control LEGO robots using the GPIO, and why your Raspberry Pi isn’t affected by Spectre and Meltdown. In addition, you’ll also find our usual selection of product reviews and excellent project showcases. Issue 66 is available today from WHSmith, Tesco, Sainsbury’s, and Asda. If you live in the US, head over to your local Barnes & Noble or Micro Center in the next few days. 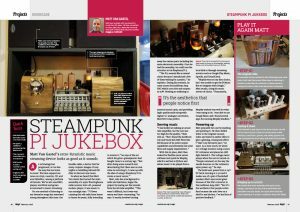 You can also get the new issue online from our store, or digitally via our Android and iOS apps. And don’t forget, there’s always the free PDF as well. I hope you enjoy this issue! See you next month. 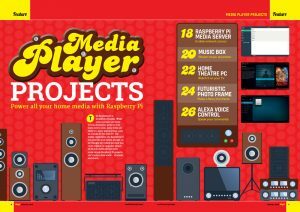 The post MagPi 66: Raspberry Pi media projects for your home appeared first on Raspberry Pi. Entertainment companies have been taking legal action to have pirate sites blocked for more than a decade so it was only a matter of time before New Zealand had a taste of the action. It’s now been revealed that Sky Network Television, the country’s biggest pay-TV service, filed a complaint with the High Court in September, demanding that four local Internet service providers block subscriber access to several ‘pirate’ sites. At this point, the sites haven’t been named, but it seems almost inevitable that the likes of The Pirate Bay will be present. The ISPs are known, however. Spark, Vodafone, Vocus and Two Degrees control around 90% of the Kiwi market so any injunction handed down will affect almost the entire country. 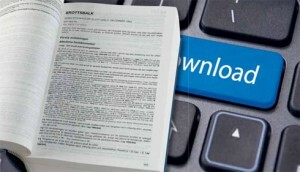 In its application, Sky states that pirate sites make available unauthorized copies of its entertainment works, something which not only infringes its copyrights but also undermines its business model. But while this is standard fare in such complaints, the Internet industry backlash today is something out of the ordinary. ISPs in other jurisdictions have fought back against blocking efforts but few have deployed the kind of language being heard in New Zealand this morning. Vocus Group – which runs the Orcon, Slingshot and Flip brands – is labeling Sky’s efforts as “gross censorship and a breach of net neutrality”, adding that they’re in direct opposition to the idea of a free and open Internet. “SKY’s call that sites be blacklisted on their say so is dinosaur behavior, something you would expect in North Korea, not in New Zealand. It isn’t our job to police the Internet and it sure as hell isn’t SKY’s either, all sites should be equal and open,” says Vocus Consumer General Manager Taryn Hamilton. 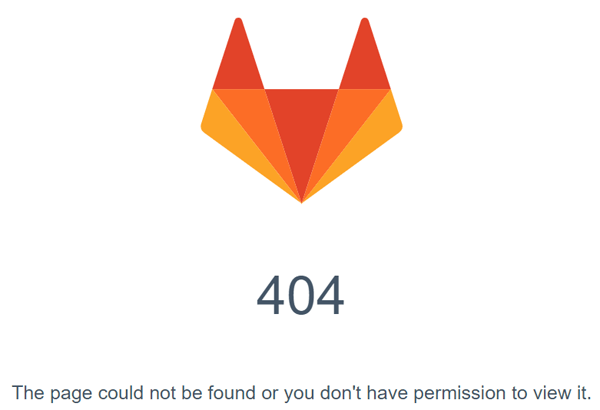 But in response, Sky said Vocus “has got it wrong”, highlighting that site-blocking is now common practice in places such as Australia and the UK. “Pirate sites like Pirate Bay make no contribution to the development of content, but rather just steal it. Over 40 countries around the world have put in place laws to block such sites, and we’re just looking to do the same,” the company said. The broadcaster says it will only go to court to have dedicated pirate sites blocked, ones that “pay nothing to the creators” while stealing content for their own gain. 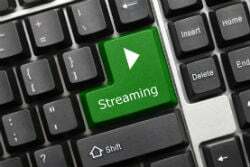 “We’re doing this because illegal streaming and content piracy is a major threat to the entertainment, creative and sporting industries in New Zealand and abroad. 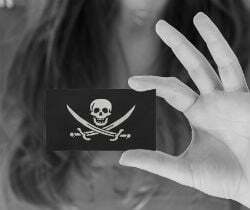 With piracy, not only is the sport and entertainment content that we love at risk, but so are the livelihoods of the thousands of people employed by these industries,” the company said. ISP Spark, which is also being targeted by Sky, was less visibly outraged than some of its competitors. However, the company still feels that controlling what people can see on the Internet is a slippery slope. “We have some sympathy for this given we invest tens of millions of dollars into content ourselves through Lightbox. However, we don’t think it should be the role of ISPs to become the ‘police of the internet’ on behalf of other parties,” a Spark spokesperson said. Perhaps unsurprisingly, Sky’s blocking efforts haven’t been well received by InternetNZ, the non-profit organization which protects and promotes Internet use in New Zealand. Describing the company’s application for an injunction as an “extreme step”, InternetNZ Chief Executive Jordan Carter said that site-blocking works against the “very nature” of the Internet and is a measure that’s unlikely to achieve its goals. “Site blocking is very easily evaded by people with the right skills or tools. Those who are deliberate pirates will be able to get around site blocking without difficulty,” Carter said. What most of the ISPs and InternetNZ are also agreed on is the need to fight piracy with competitive, attractive legal offerings. Vocus says that local interest in The Pirate Bay has halved since Netflix launched in New Zealand, with traffic to the torrent site sitting at just 23% of its peak 2013 levels. “The success of Netflix, iTunes and Spotify proves that people are willing to pay to access good-quality content. It’s pretty clear that SKY doesn’t understand the internet, and is trying a Hail Mary to turnaround its sunset business,” Vocus Consumer General Manager Taryn Hamilton said. The big question now is whether the High Court has the ability to order these kinds of blocks. InternetNZ has its doubts, noting that it should only happen following a parliamentary mandate. When large-scale access to online pirated content began to flourish at the turn of the decade, entertainment industry groups claimed that if left to run riot, it could mean the end of their businesses. More than seventeen years later that doomsday scenario hasn’t come to pass, not because piracy has been defeated – far from it – but because the music, movie and related industries have come to the market with their own offers. 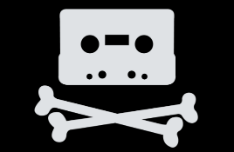 The music industry were the quickest to respond, with services like iTunes and later Spotify making serious progress against pirate alternatives. It took the video industry far longer to attack the market but today, with platforms such as Netflix and Amazon Video, they have a real chance at scooping up what might otherwise be pirate consumption. While there’s still a long way to go, it’s interesting to hear the progress that’s being made not only in the West but also piracy hotspots further afield. This week, Brazil’s Exame reported on a new study published by Google. Focused on movies, one of its key findings is that local consumer interest in Netflix is now greater than pirate alternatives including torrents, streaming, and apps. As illustrated in the image below, the tipping point took place early November 2016, when searches for Netflix overtook those for unauthorized platforms. 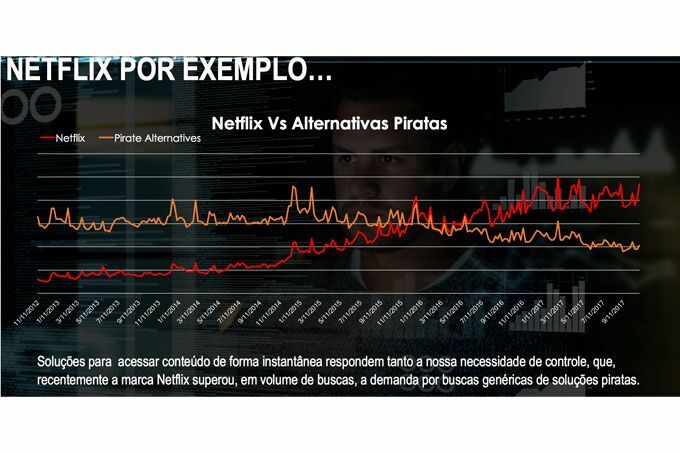 While the stats above don’t necessarily point to a reduction in piracy of movies and TV shows in Brazil, they show that Netflix’s library and ease of use is rewarded by widespread awareness among those seeking such content locally. “We’re not lowering piracy but this does show how relevant the [Netflix] brand is when it comes to offering content online,” Google Brazil’s market intelligence chief Sérgio Tejido told Exame. For Debora Bona, a director specializing in media and entertainment at Google Brazil, the success of Netflix is comparable to the rise of Spotify. 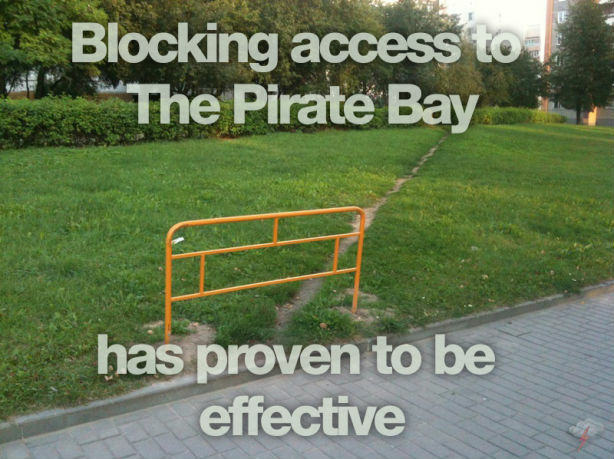 In part thanks to The Pirate Bay, Sweden had a serious piracy problem in the middle of the last decade but by providing a viable alternative, the streaming service has become part of the solution. Netflix launched in Brazil back in 2011, but Exame notes that the largest increase in searches for the platform took place between 2013 and 2016, demonstrating a boost of 284%. Even more evidence of Netflix’s popularity was revealed in recent surveys which indicate that 77% of surveyed Brazilians had watched Netflix, up from 71% in 2016. Importantly, nine out of ten users in Brazil said they were “extremely satisfied” or “very satisfied” with the service, up from 79% in the previous year. An impressive 66% of subscribers said that they were “not at all likely to cancel”, a welcome statistics for a company pumping billions into making its own content and increasingly protecting it (1,2), in the face of persistent pirate competition. 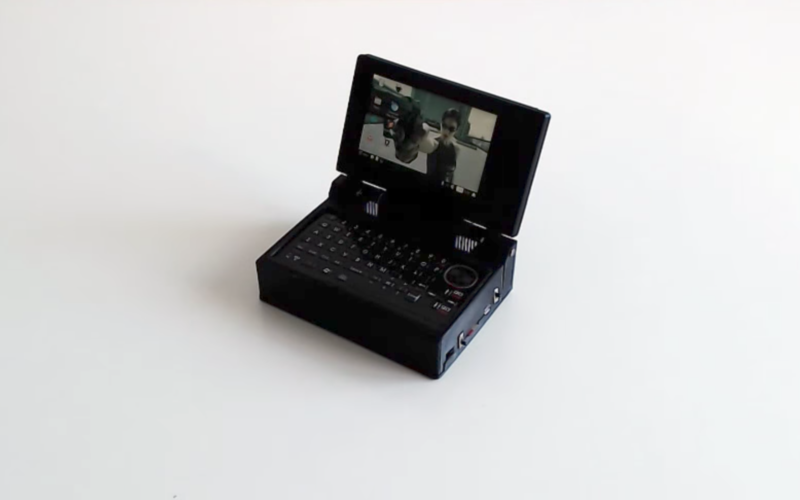 Fit an entire Raspberry Pi-based laptop into your pocket with N O D E’s latest Handheld Linux Terminal build. Hey everyone. Today I want to show you the new version 3 of the Handheld Linux Terminal. It’s taken a long time, but I’m finally finished. This one takes all the things I’ve learned so far, and improves on many of the features from the previous iterations. The topics of his videos range from stripped-down devices, upgraded tech, and security upgrades, to the philosophy behind technology. 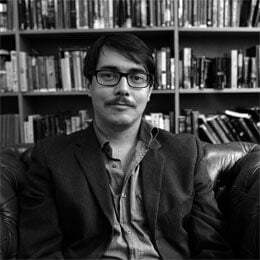 He also provides weekly roundups of, and discussions about, new releases. Essentially, if you like technology, you’ll like N O D E.
Subscribers to N O D E’s YouTube channel, of whom there are currently over 44000, will have seen him documenting variations of this handheld build throughout the last year. 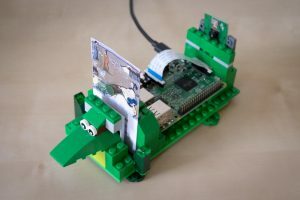 By stripping down a Raspberry Pi 3, and incorporating a Zero W, he’s been able to create interesting projects while always putting functionality first. 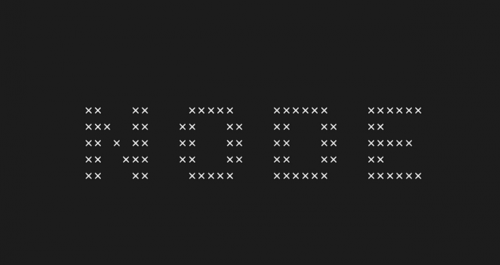 With the third version of his terminal, N O D E has taken experiences gained from previous builds to create something of which he’s obviously extremely proud. And so he should be. 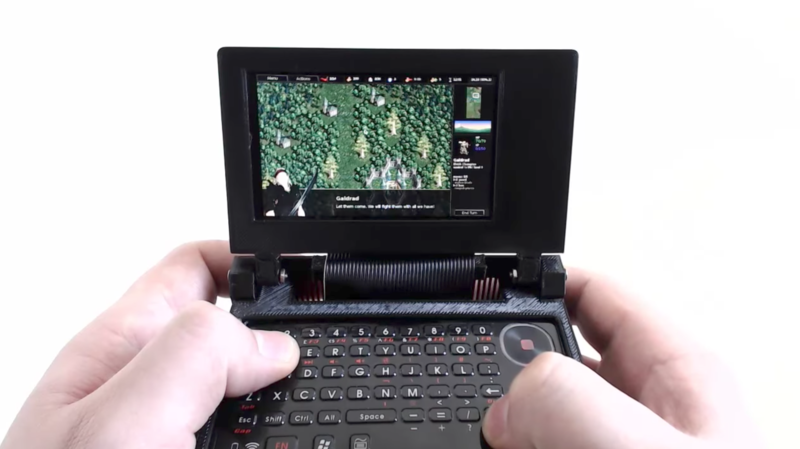 The v3 handheld is impressively small considering he managed to incorporate a fully functional keyboard with mouse, a 3.5″ screen, and a fan within the 3D-printed body. We think this is an incredibly neat build, and we can’t wait to see where N O D E takes it next! The post N O D E’s Handheld Linux Terminal appeared first on Raspberry Pi. 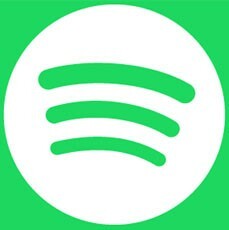 As part of a five-person research team (Pelle Snickars, Patrick Vonderau, Anna Johansson, Rasmus Fleischer, Maria Eriksson) funded by the Swedish Research Council, Fleischer has co-written a book about the history of Spotify. Titled ‘Spotify Teardown – Inside the Black Box of Streaming Music’, the publication is set to shine light on the history of the now famous music service while revealing quite a few past secrets. With its release scheduled for 2018, Fleischer has already teased a few interesting nuggets, not least that Spotify’s early beta version used ‘pirate’ MP3 files, some of them sourced from The Pirate Bay. Fleischer says that following an interview earlier this year with DI.se, in which he revealed that Spotify distributed unlicensed music between May 2007 to October 2008, Spotify looked at ways to try and stop his team’s research. However, the ‘pirate’ angle wasn’t the clear target, another facet of the team’s research was. “Building on the tradition of ‘breaching experiments’ in ethnomethodology, the research group sought to break into the hidden infrastructures of digital music distribution in order to study its underlying norms and structures,” project leader Pelle Snickars previously revealed. With this goal, the team conducted experiments to see if the system was open to abuse or could be manipulated, as Fleischer now explains. “For example, some hundreds of robot users were created to study whether the same listening behavior results in different recommendations depending on whether the user was registered as male or female,” he says. Fleischer says that Spotify had been aware of the project for several years but it wasn’t until this year, after he spoke of Spotify’s past as a ‘pirate’ service, that pressure began to mount. A corresponding letter to the Swedish Research Council detailed Spotify’s problems with the project. “The research group has worked, among other things, to artificially increase the number of plays and manipulate Spotify’s services using scripts or other automated processes. Fleischer admits that part of the research was concerned with the possibility of artificially increasing the number of plays, but he says that was carried out on a small scale without any commercial gain. “The purpose was simply to test if it is true that Spotify could be manipulated on a larger scale, as claimed by journalists who did similar experiments. It is also true that we ‘sought to hide these crimes’ by using a VPN connection,” he says. Fleischer says that Spotify’s lawyer blended complaints together, such as correlating terms of service violations with violation of research ethics, while presenting the same as grounds for legal action. “The argument was quite ridiculous. Nevertheless, the letter could not be interpreted as anything other than an attempt by Spotify to prevent us from pursuing the research project,” he notes. This week, however, it appears the dispute has reached some kind of conclusion. In a posting on his Copyriot blog (Swedish), Fleischer reveals that Spotify has informed the Swedish Research Council that the case has been closed, meaning that the research into the streaming service can continue. “It must be acknowledged that Spotify’s threats have taken both time and power from the project. This seems to be the purpose when big companies go after researchers who they perceive as uncomfortable. It may not be possible to stop the research but it can be delayed,” Fleischer says. The thorny issue of how to deal with the online piracy phenomenon used to be focused on punishing site users. Over time, enforcement action progressed to the services themselves, until they became both too resilient and prevalent to tackle effectively. In Europe in particular, there’s now a trend of isolating torrent, streaming, and hosting platforms from their users. This is mainly achieved by website blocking carried out by local ISPs following an appropriate court order. 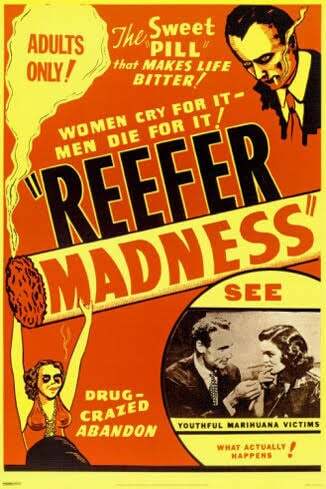 While the UK is perhaps best known for this kind of action, Belgium was one of the early pioneers of the practice. After filing a lawsuit in 2010, the Belgian Anti-Piracy Foundation (BAF) weathered an early defeat at the Antwerp Commercial Court to achieve success at the Court of Appeal. Since then, local ISPs have been forced to block The Pirate Bay. Since then there have been several efforts (1,2) to block more sites but rightsholders have complained that the process is too costly, lengthy, and cumbersome. Now the government is stepping in to do something about it. Local media reports that Deputy Prime Minister Kris Peeters has drafted new proposals to tackle online piracy. In his role as Minister of Economy and Employment, Peeters sees authorities urgently tackling pirate sites with a range of new measures. For starters, he wants to create a new department, formed within the FPS Economy, to oversee the fight against online infringement. The department would be tasked with detecting pirate sites more quickly and rendering them inaccessible in Belgium, along with any associated mirror sites or proxies. Peeters wants the new department to add all blocked sites to a national ‘pirate blacklist. Interestingly, when Internet users try to access any of these sites, he wants them to be automatically diverted to legal sites where a fee will have to be paid for content. While it’s not unusual to try and direct users away from pirate sites, for the most part Internet service providers have been somewhat reluctant to divert subscribers to commercial sites. Their assistance would be needed in this respect, so it will be interesting to see how negotiations pan out. The Belgian Entertainment Association (BEA), which was formed nine years ago to represent the music, video, software and videogame industries, welcomed Peeters’ plans. “It’s so important to close the doors to illegal download sites and to actively lead people to legal alternatives,” said chairman Olivier Maeterlinck. 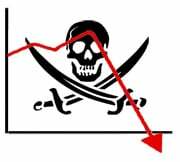 The current narrative that pirate sites are evil places is clearly gaining momentum among anti-piracy bodies, but there’s little sign that the public intends to boycott sites as a result. With that in mind, alternative legal action will still be required. With that in mind, Peeters wants to streamline the system so that all piracy cases go through a single court, the Commercial Court of Brussels. This should reduce costs versus the existing model and there’s also the potential for more consistent rulings. “It’s a good idea to have a clearer legal framework on this,” says Maeterlinck from BEA. There’s little doubt that BEA could benefit from a little government assistance. Back in February, the group filed a lawsuit at the French commercial court in Brussels, asking ISPs to block subscriber access to several ‘pirate’ sites. “Our action aims to block nine of the most popular streaming sites which offer copyright-protected content on a massive scale and without authorization,” Maeterlinck told TF at the time. 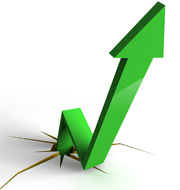 Java is a popular language used by many enterprises today. To simplify and accelerate Java application development, many companies are moving from a monolithic to microservices architecture. For some, it has become a strategic imperative. Containerization technology, such as Docker, lets enterprises build scalable, robust microservice architectures without major code rewrites. In this post, I cover how to containerize a monolithic Java application to run on Docker. Then, I show how to deploy it on AWS using Amazon EC2 Container Service (Amazon ECS), a high-performance container management service. Finally, I show how to break the monolith into multiple services, all running in containers on Amazon ECS. For this example, I use the Spring Pet Clinic, a monolithic Java application for managing a veterinary practice. It is a simple REST API, which allows the client to manage and view Owners, Pets, Vets, and Visits. You simulate this by using curl commands. This is the Java and Spring-based application that you run using the embedded Tomcat. As part of this post, you run this within Docker containers. This is the relational database for your application that stores information about owners, pets, vets, and visits. For this post, use MySQL RDS. I decided to not put the database inside a container as containers were designed for applications and are transient in nature. The choice was made even easier because you have a fully managed database service available with Amazon RDS. 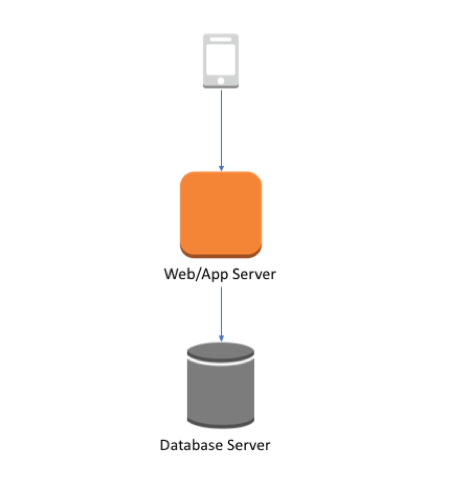 RDS manages the work involved in setting up a relational database, from provisioning the infrastructure capacity that you request to installing the database software. After your database is up and running, RDS automates common administrative tasks, such as performing backups and patching the software that powers your database. With optional Multi-AZ deployments, Amazon RDS also manages synchronous data replication across Availability Zones with automatic failover. You can find the code for the example covered in this post at amazon-ecs-java-microservices on GitHub. An improved pipeline. The container also allows an engineering organization to create a standard pipeline for the application lifecycle. You can find the monolith example at 1_ECS_Java_Spring_PetClinic. The client application that makes a request to the load balancer. The load balancer that distributes requests across all available ports and instances registered in the application’s target group using round-robin. The target group that is updated by Amazon ECS to always have an up-to-date list of all the service containers in the cluster. This includes the port on which they are accessible. One Amazon ECS cluster that hosts the container for the application. A VPC network to host the Amazon ECS cluster and associated security groups. 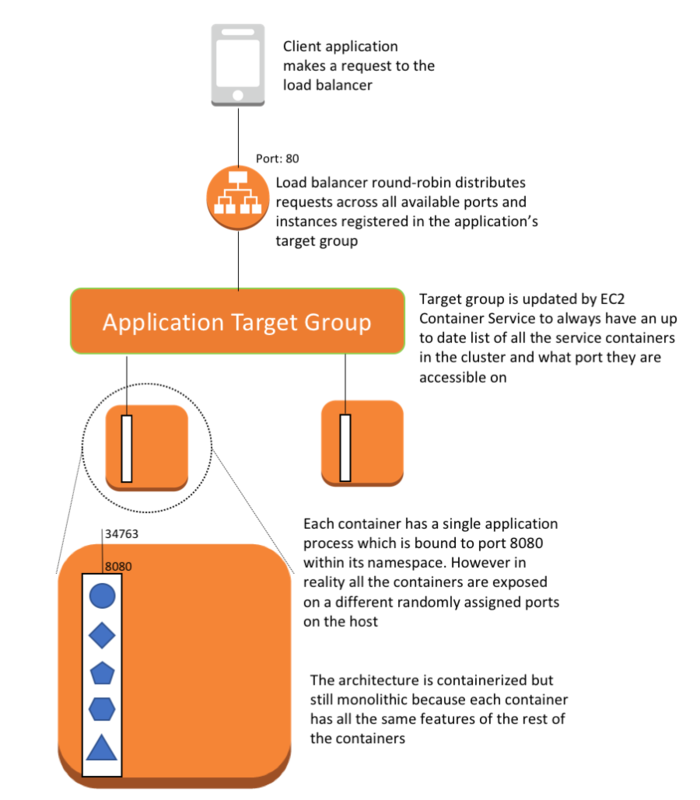 Each container has a single application process that is bound to port 8080 within its namespace. In reality, all the containers are exposed on a different, randomly assigned port on the host. One Amazon EC2 Container Registry (Amazon ECR) repository for the application. A service/task definition that spins up containers on the instances of the Amazon ECS cluster. 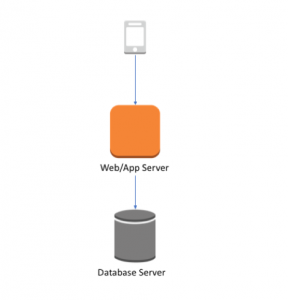 A MySQL RDS instance that hosts the applications schema. The information about the MySQL RDS instance is sent in through environment variables to the containers, so that the application can connect to the MySQL RDS instance. I have automated setup with the 1_ECS_Java_Spring_PetClinic/ecs-cluster.cf AWS CloudFormation template and a Python script. The Python script calls the CloudFormation template for the initial setup of the VPC, Amazon ECS cluster, and RDS instance. It then extracts the outputs from the template and uses those for API calls to create Amazon ECR repositories, tasks, services, Application Load Balancer, and target groups. Optionally, you can also encrypt sensitive values by using Amazon EC2 Systems Manager Parameter Store. Instead of handing in the password, you pass in a reference to the parameter and fetch the value as part of the container startup. For more information, see Managing Secrets for Amazon ECS Applications Using Parameter Store and IAM Roles for Tasks. Use the Spotify Docker Maven plugin to create the image and push it directly to Amazon ECR. This allows you to do this as part of the regular Maven build. It also integrates the image generation as part of the overall build process. Use an explicit Dockerfile as input to the plugin. The Python script discussed earlier uses the AWS CLI to authenticate you with AWS. The script places the token in the appropriate location so that the plugin can work directly against the Amazon ECR repository. The second step is to convert the monolith into microservices. For a real application, you would likely not do this as one step, but re-architect an application piece by piece. You would continue to run your monolith but it would keep getting smaller for each piece that you are breaking apart. If one microservice in your application is crashing, then only that part of your application goes down. The rest of your application continues to work properly. When microservice best practices are followed, the result is that if an attacker compromises one service, they only gain access to the resources of that service. They can’t horizontally access other resources from other services without breaking into those services as well. When features are broken out into microservices, then the amount of infrastructure and number of instances of each microservice class can be scaled up and down independently. In a monolith, adding a new feature can potentially impact every other feature that the monolith contains. On the other hand, a proper microservice architecture has new code for a new feature going into a new service. You can be confident that any code you write won’t impact the existing code at all, unless you explicitly write a connection between two microservices. 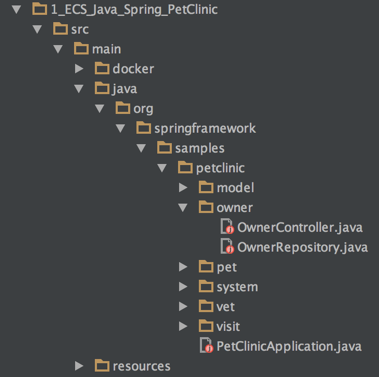 Find the monolith example at 2_ECS_Java_Spring_PetClinic_Microservices. You break apart the Spring Pet Clinic application by creating a microservice for each REST API operation, as well as creating one for the system services. Comparing the project structure between the monolith and the microservices version, you can see that each service is now its own separate build. 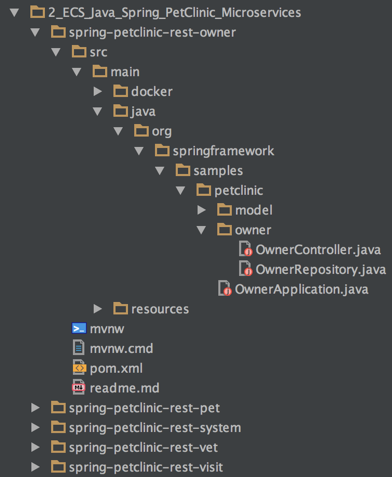 You can clearly see how each API operation is its own subpackage under the org.springframework.samples.petclinic package, all part of the same monolithic application. Now, each API operation is its own separate build, which you can build independently and deploy. You have also duplicated some code across the different microservices, such as the classes under the model subpackage. This is intentional as you don’t want to introduce artificial dependencies among the microservices and allow these to evolve differently for each microservice. Also, make the dependencies among the API operations more loosely coupled. In the monolithic version, the components are tightly coupled and use object-based invocation. In the microservice version, call the Pet API operation and not PetRepository directly. Decouple the components by using interprocess communication; in this case, the Rest API. This provides for fault tolerance and disposability. You now have an additional method that calls the API. You are also handing in the service endpoint that should be called, so that you can easily inject dynamic endpoints based on the current deployment. The Application Load Balancer that inspects the client request. Based on routing rules, it directs the request to an instance and port from the target group that matches the rule. The Application Load Balancer that has a target group for each microservice. The target groups are used by the corresponding services to register available container instances. Each target group has a path, so when you call the path for a particular microservice, it is mapped to the correct target group. This allows you to use one Application Load Balancer to serve all the different microservices, accessed by the path. For example, https:///owner/* would be mapped and directed to the Owner microservice. 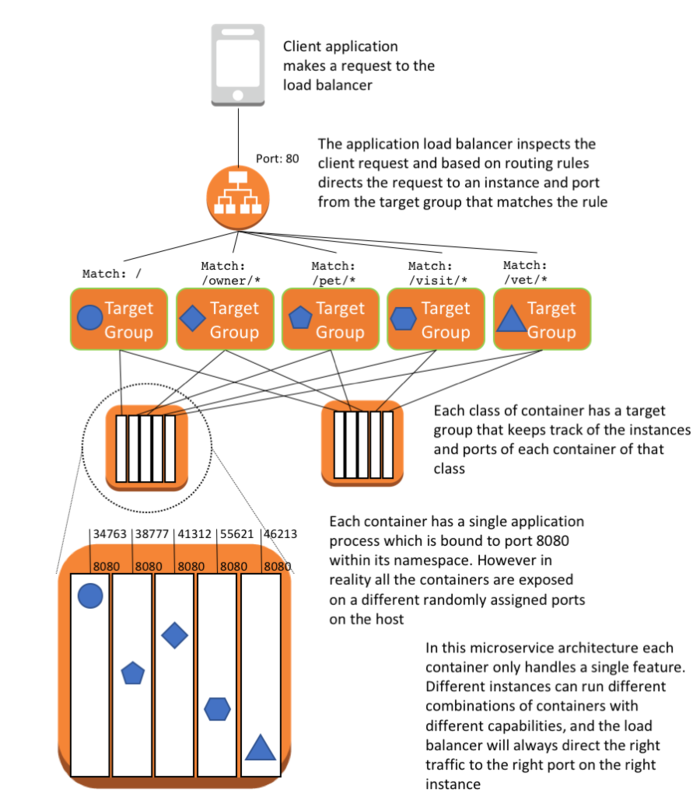 One Amazon ECS cluster that hosts the containers for each microservice of the application. Because you are running multiple containers on the same instances, use dynamic port mapping to avoid port clashing. By using dynamic port mapping, the container is allocated an anonymous port on the host to which the container port (8080) is mapped. The anonymous port is registered with the Application Load Balancer and target group so that traffic is routed correctly. One Amazon ECR repository for each microservice. A service/task definition per microservice that spins up containers on the instances of the Amazon ECS cluster. A MySQL RDS instance that hosts the applications schema. The information about the MySQL RDS instance is sent in through environment variables to the containers. That way, the application can connect to the MySQL RDS instance. I have again automated setup with the 2_ECS_Java_Spring_PetClinic_Microservices/ecs-cluster.cf CloudFormation template and a Python script. The CloudFormation template remains the same as in the previous section. In the Python script, you are now building five different Java applications, one for each microservice (also includes a system application). There is a separate Maven POM file for each one. The resulting Docker image gets pushed to its own Amazon ECR repository, and is deployed separately using its own service/task definition. This is critical to get the benefits described earlier for microservices. Migrating a monolithic application to a containerized set of microservices can seem like a daunting task. Following the steps outlined in this post, you can begin to containerize monolithic Java apps, taking advantage of the container runtime environment, and beginning the process of re-architecting into microservices. On the whole, containerized microservices are faster to develop, easier to iterate on, and more cost effective to maintain and secure. This post focused on the first steps of microservice migration. You can learn more about optimizing and scaling your microservices with components such as service discovery, blue/green deployment, circuit breakers, and configuration servers at http://aws.amazon.com/containers.